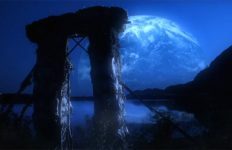 Stargate SG-1: "Shades of Grey"
The rogue N.I.D. 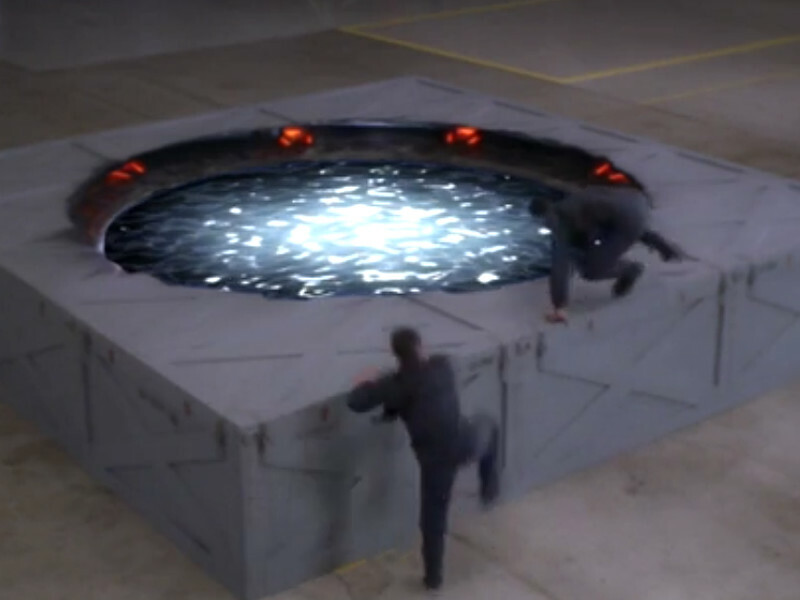 is Stargate SG-1‘s version of whack-a-mole: every time the team knocked down one head, two more pop up. 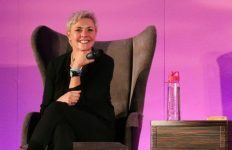 The organization operated in the shadows for years, reaching outside the U.S. government to a group of powerful politicians and business executives. While Stargate Command’s mandate included the procurement of advanced technologies to aid in the fight against the Goa’uld, they had rules to follow and ethics to uphold. Not so for the black-ops arm of the N.I.D. They made it their mission to cheat, steal, and otherwise get their hands on alien tech by any means necessary. Eventually the group’s leadership was taken off the board: Colonel Harry Maybourne was arrested and cut off by the people who once pulled his strings, and Colonel Frank Simmons was arrested before dying in an attempt to steal the Prometheus. With its head cut off the rogue arm of the N.I.D. dwindled. Agent Malcolm Barrett was tasked with ferreting out the last vestiges of corruption in the organization. But the powerful interests outside of the U.S. government — who once called the shots — went on. Their strategy changed, and so did their name. They would call themselves “the Committee,” and later evolve into “the Trust.” From there these powerful men of industry would be infiltrated by the Goa’uld (“Full Alert”). Though we had met Colonel Maybourne and his shadiness before, it isn’t until “Touchstone” that it becomes clear that there is more to the N.I.D. than meets the eye. A black ops division is working off books, possibly under Maybourne’s orders, to steal tech from other planets. SG-1 manages to track down the rogues, but cannot prevent them from escaping through the beta gate. Here’s the rogue team in action, complete with their own off-world base and their own genius scientist to explain how things work. 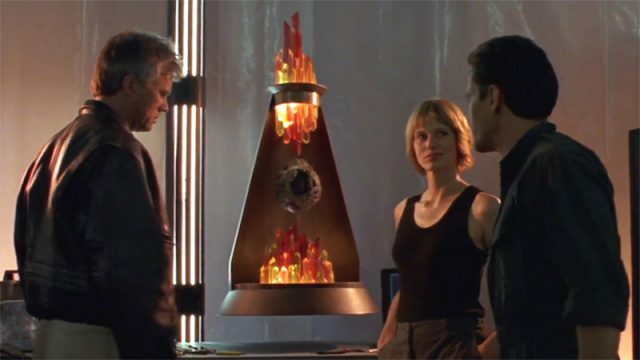 Neumann, Tobias, and the others take orders from Maybourne (via long-range communications tech) to procure certain items, and send them back via a mole inside Stargate Command. Jack O’Neill is tasked with infiltrating the group to dismantle the rogue operation … but to do so, Jack will have to go rogue himself. Although the offworld rogue operation has been halted, in the fourth season it becomes clear that the people who called the shots and held the purse strings are still at large. Colonel O’Neill teams up with Maybourne — now a prisoner of the U.S. government after he fled to Russia — to expose a certain political figure. Senator Kinsey is part of the remnants of the old operation, who have pressured General Hammond to resign so that they can take control of the legitimate operations of the S.G.C. A pair of rogue N.I.D. operatives, arrested thanks to O’Neill’s op two years earlier, are pulled out of prison because SG-1 needs their help. 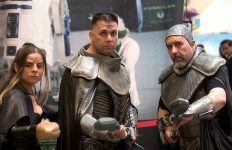 Grieves and Kershaw previously visited the planet Latona, at which time they interfered with an advanced security device called the Sentinel. Now they must help to repair it and right their past wrongs. Imprisoning the rogue team and exposing people like Kinsey and Simmons just wasn’t enough to root out this weed. A media crew gains access to Earth’s brand new interstellar vessel code-named Prometheus, but it’s only a ruse. Some on the crew are connected to the N.I.D.’s rogue operation. They get Simmons out of prison and hijack the ship — the biggest technological prize Earth has ever had. The Powers That Be behind the rogue cell have finally had enough of Robert Kinsey. Using (what else) stolen alien tech they try to assassinate the Senator and presidential hopeful, and pin it on Jack O’Neill. With the Colonel behind bars the rest of his team are on the case to try and prove his innocence … before the rogue N.I.D. can finish the job. This episode also re-introduces legit N.I.D. Agent Malcolm Barrett (Peter Flemming), who appeared briefly in “Wormhole X-Treme!” Barrett has been tasked with the crucial mission of purging the last of the rogue element from the N.I.D., in order to bring legitimacy back to his organization. Even with the rogue N.I.D. more or less gone at this point, its years of clandestine and illegal work persists. SG-1 and Agent Barrett discover a secret laboratory, where a scientist called Keffler has been engaged in unsettling research. He’s combining Goa’uld DNA with a human host, hoping to gain access to the enemy’s genetic knowledge without having to deal with a Goa’uld itself. It goes … shall we say … badly. Daniel finds that the subject of the experiment, a young woman called Anna, is experiencing all the evil of symbiote possession.